1. Cocca: This is a gorgeous shop full of Japanese fabrics that you won't see in Nippori. 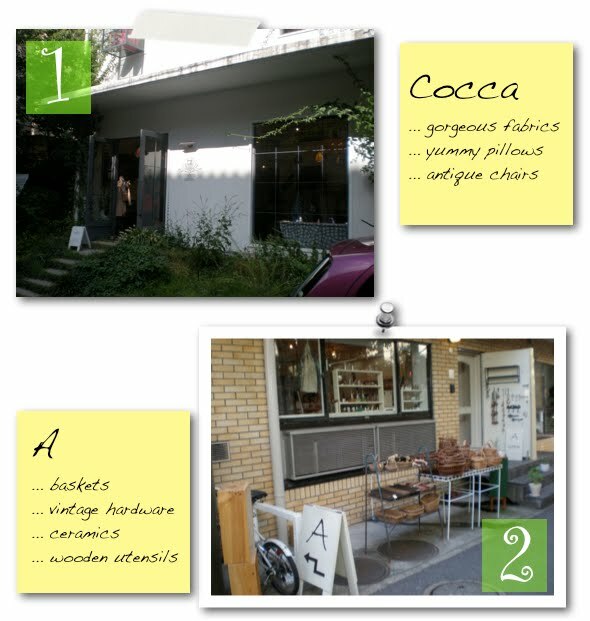 Prices are around ¥1,800 per meter. On the second floor, you'll find vintage chairs and accessories. It's worth popping into this store just to check out the beautiful layout. 2. A: Earthy baskets, handmade ceramics, wooden utensils, ironware. 3. 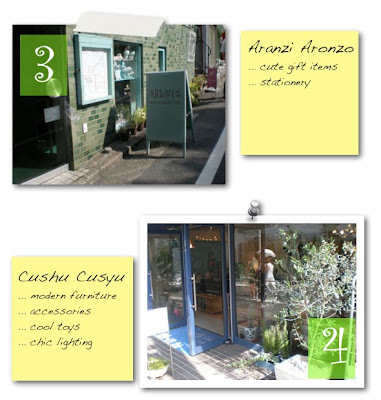 Aranzi Aronzo: Cute gift items, stationery, bags, postcards. 4. Cushu Cusyu: Modern furniture, cool lighting, mobiles, kitchenwares, well-designed toys. 5. 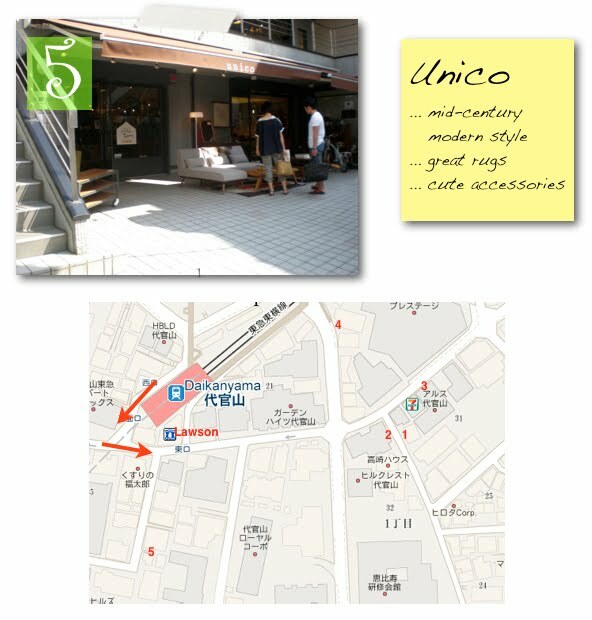 Unico: You might have read my previous post about this store. I saw a lot of Southwestern style rugs and accessories, antique-inspired pendant lights, and their trademark Scandinavian/Japanese style furniture this time. I hope you check back for Part 2. It only gets better! thanks! i should have it up early next week.